Tulip Tuesday – This spring inspired vase is simply made with just a few items including: straws, string, a vase and double-sided tape. Pitcher Perfect - No vase? No problem! Just put your favorite flowers in a bold patterned pitcher. Spring Zest – Create this look with two vases. Place the smaller one inside of the larger one, and slide lemon or lime slices inside the gap for this beautiful and unique springtime look. Brown Bag Chic – Perfectly bright for spring and so simple to put together! 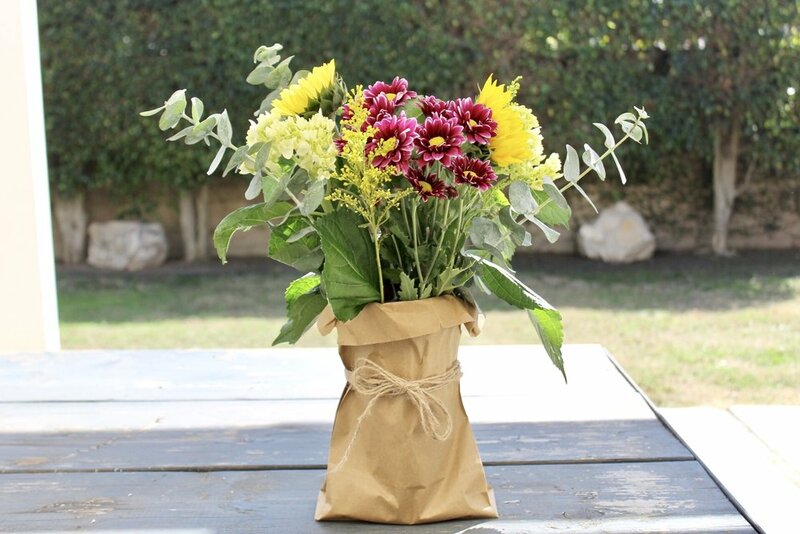 Just place your flowers in a mason jar with water, put them inside a brown paper bag and complete the look with jute twine. Perfect for a springtime gift.